What the error means is that when the TFS build service loads the build process template XAML for the build definition, it can’t create an instance of the customer workflow activity that is referenced from it. The problem here is that there are several steps that all need to be done correctly for this process to work. When developing custom workflow, you keep the XAML builds template workflows in one project, and the custom activities in another project. The template workflow project shall reference the custom activities project. This setup also makes sure that your custom activities show up in the toolbox when designing your workflow. NB: You don’t need to check in TFS assemblies and other references that you know will be in the GAC on the build servers. But, even if you have all these step done right, you can still get the error. I had this problem recently when working with the code metrics activities for the http://tfsbuildextensions.codeplex.com/ community project. 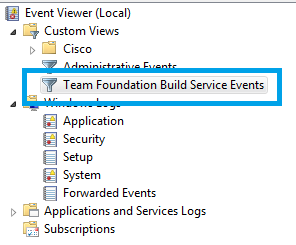 Which made me realize that I had by accident checked in one of the test assemblies into the custom activity source control folder in TFS. Unfortunately this whole process with developing you own custom activities is problematic and error prone, hopefully this will be better in future versions of TFS. Once you have your setup working however, changing and adding new custom activities is easy. And deployment is a breeze thanks to the automatic downloading and recycling of build agents that the build controller handles. Very great post. He helped me a lot to solve custom activity issues. Additional information: Could not load file or assembly ‘Interop.VisBuildSvr, Version=1.0.0.0, Culture=neutral, PublicKeyToken=d64ea679b6fd0408’ or one of its dependencies. The system cannot find the file specified. Great post! along with other articles on TFS build.. Thanks! I am getting a same error, while I am importing a Powershell Workflow activity into toolbox. Its imported successfully but while executing it gives the below error. The DLL is created and successfully imported into workflow toolbox, but while using it in a build its giving the above error. @Subrat: Did you remember to check in the assembly in the custom assembly version control path (bullet nr 5 above)?